California is a state that prides itself on being at the forefront of change and innovation. What role have women played in shaping that reputation? In the forthcoming Women Trailblazers of California: Pioneers to the Present, authors Gloria Harris and Hannah Cohen take a look back at some of the first women in the Bear Star State to hang a shingle in their chosen profession or bring advancements to a field of study. 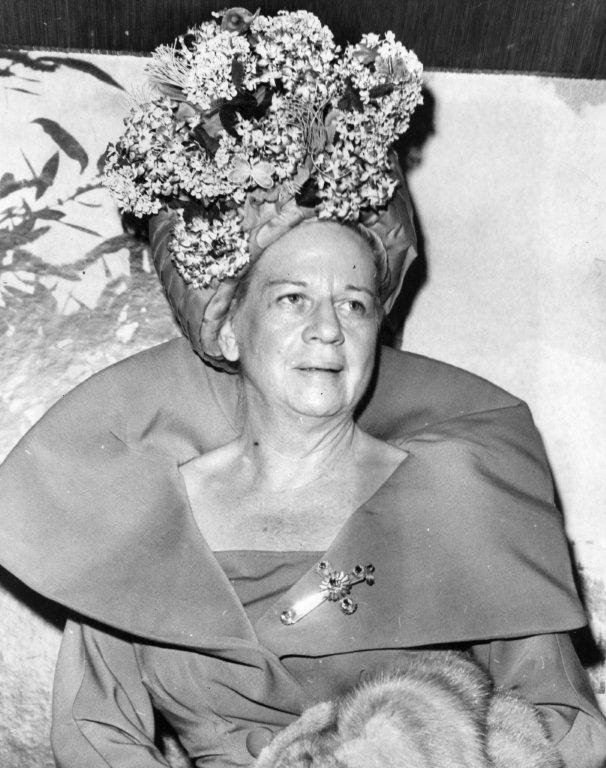 Who are these Women Trailblazers of California? In the following interview, Harris and Cohen discuss the impetus behind their forthcoming book and share some of their favorite stories about California’s extraordinary women. AK: What are a few of the significant milestones in women’s history here in California? GH & HC: We can divide the milestones into categories of individual achievements for women in different fields of endeavor and then into more global victories such as the battle for suffrage. Looking at California history, we have to admire the early women pioneers like Nancy Kelsey, the first white woman, who, in 1841, was the first woman to reach California in a wagon train. Life was not easy for these women, most of whom had come from the east and were accustomed to more comfortable living. 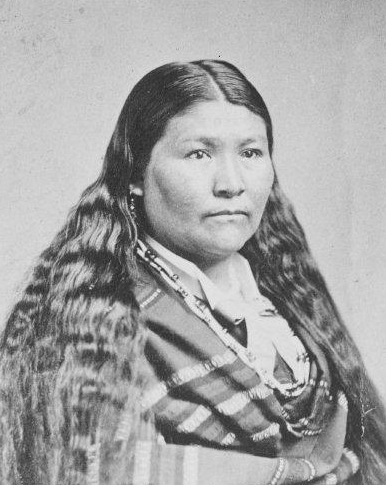 She and her family played an important role in our nation’s history, part of the first wave of a great tide of immigrants that transformed the American West. However, women managed to follow their dreams and did not succumb to the harassment such as that suffered by Lucy Wanzer the first woman to graduate from medical school in 1874. She was not only tormented by her fellow male students, but also by her professors who believed women should remain at home and were suited only to domestic skills. Men had deep held beliefs that women had neither the brains nor the skills to enter any profession. 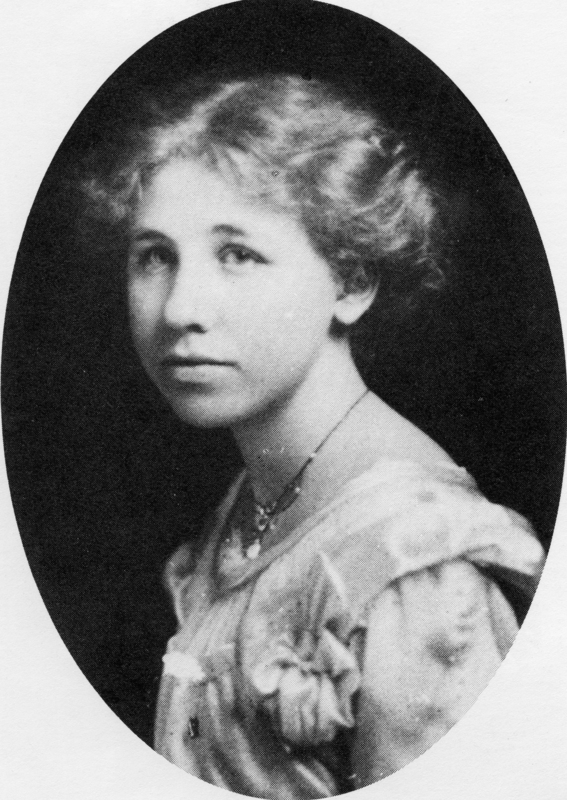 Women were denied the right to be lawyers until 1878 when Clara Shortridge Foltz drafted the Women Lawyer’s Bill, the law that allowed women to become lawyers in California. The bill was passed by the state senate, but only after a protracted storm of opposition by a group of furious men and then signed by the governor. Women in many occupations from the Gold Rush on had to overcome numerous obstacles. Our research revealed opposition in the field of architecture, education, entertainment, the environment and more. Anytime it was a first, there were barriers. However, we have to look at the successes. Who was responsible for the entire Hearst Castle project? Julia Morgan. Who saved the Redwoods of northern California? Josephine McCracken. Who did the landscape scenery for Gone with the Wind? Florence Yoch. Who designed the covenant of Rancho Santa Fe? Lilian Rice. Who was responsible for the Joshua Tree National Park? Minerva Hoyt. It goes on and on, but it was difficult. On a wider scale, the most significant milestone was the winning of the right to vote on October 10, 1911 and making California the sixth state to give women the right to vote. It took forty years to achieve this victory and thousands of brave women who made it possible. A few outstanding women were Laura De Force Gordon, Clara Shortridge Foltz, Ellen Sargent, Maud Younger, Alice Paul, and Selina Solomon to name a few. They were all brave women who fought hard and long so that women would have the right to vote, be able to own property, serve on juries, and even to have their own credit cards! Every step was a battle. AK: Why did you decide to take a statewide approach to the book? GH & HC: During Women’s History Month in March 2010, Dr. Harris attended a meeting hosted by the Congress of History of San Diego and Imperial Counties. All of the presentations were on the topic of women’s contributions to local history. After visiting numerous vendors in search of a book related to the Conference’s topic, she became aware that no book highlighting women’s contributions to the nation’s most populous state had been written. 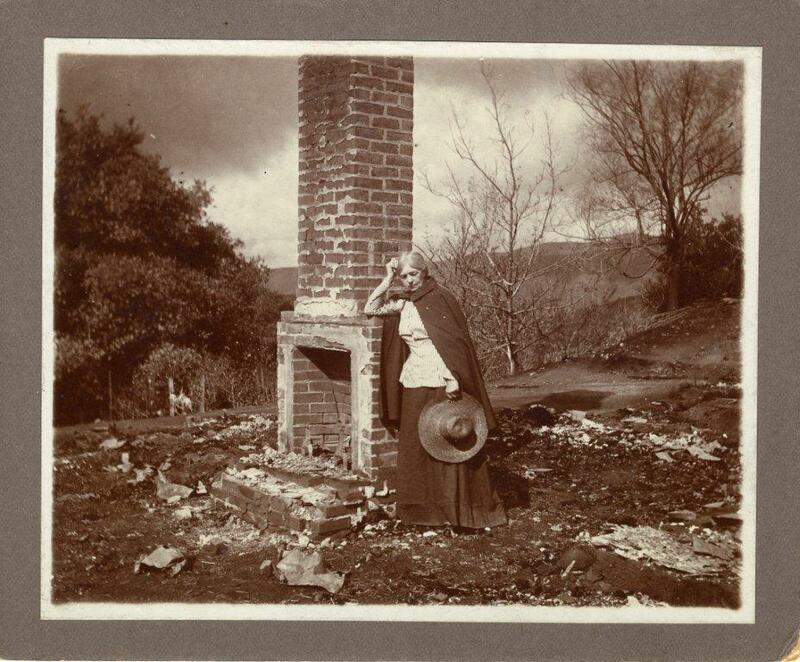 The extraordinary stories of the women of California, both past and present, remained to be told. Additionally, the research indicated that much of the early achievements accomplished by women happened in the northern part of the state. This, of course, was due to the Gold Rush and the search for riches. This, however, does not mean that women in southern California did not also have significant achievement. During the suffrage movement, there were many women in San Diego including Dr. Charlotte Baker who had to overcome the challenges of being a women doctor and also a leading suffragist. Los Angeles, although a rough cow town in the early 1800’s was home to many strong and brilliant women suffragists, doctors, lawyers and environmentalists. To do justice to all these remarkable women, we knew our book had to be state-wide. AK: How do you think California’s Gold Rush impacted the role of women in the state? GH & HC: Although most women who came to California during the gold rush were from farm families, they had to endure harsh living conditions. After an arduous journey across the country, they were unprepared for life in the gold mining camps of California where home was likely to be a tent or crude mining shack with a dirt floor and canvas ceiling. The gold mining camps were also viewed as unsafe, and until the mid 1850’s most women stayed behind. In 1850, there was only one female for every thirty men, and it is estimated that half the women in San Francisco were prostitutes. The traditions of the pioneer women and the lives they lived instilled in their daughters a sense of survival and spirit that affected all of their future pursuits. AK: What kind of influence has Hollywood’s cult of beauty had on the perception of women in the state? GH & HC: Hollywood has been perennially criticized for advocating an unrealistic view of physical perfection which not all people can achieve. We believe that this influence, unfortunately, extends beyond California and the country. For example, take a look at Bollywood in India, and we get a glimpse of how Hollywood has fostered in both women and men an obsession with image and cult celebrities. However, on a very positive note, Hollywood has produced many great women and men of enormous talent and generosity. We only have to look at Dorothy Arzner, the first female director and Mary Pickford, the stunning and talented actor to acknowledge the film industry has given us a great deal of fabulous entertainment and produced many skilled and talented people. All of the women profiled in our book made their mark on California’s history based on their courage and fortitude rather than concern for their physical appearance. AK: What criteria did you use when deciding which women to include in the book? A trailblazer is a leader or pioneer who paves the way for others. We based our decision on women who “broke the glass ceiling” and who were able to accomplish what no other woman in California had before them. In most cases, they were first among firsts. Many women in our book are represented in the California Museum of History, Women, and the Arts located in Sacramento that features a display of the legacy of California’s Remarkable Women. We have included many multicultural women who lived in diverse time periods and parts of the state. Some of the women are well-known while others have been overlooked or unacknowledged. AK: Are there certain personality traits that seem to characterize the women you featured? GH & HC: As we were doing our research, we discovered that many of the women featured in our book share certain personality traits. Many of these fantastic women were strong, determined, and had the ability to overcome prejudice and skepticism. We recognized they were also tenacious, a trait they needed to overcome the many challenges they faced and the barriers that were put in front of them. Some have stood up against repressive laws, political oppression, and outright violence. Above all they have been pioneers and leaders who made a difference in the lives of others. AK: How did you become involved in the Women’s Museum of California? GH & HC: Dr. Gloria Harris is the co-author of Assertive Training for Women, a ground breaking book written in 1974. She conducted Assertive training for Women seminars in 75 government agencies throughout the U.S., been a lecturer in Women’s Studies at San Diego State University, and served as Chair of the San Diego County Commission on the Status of Women. In 2010 she was inducted into the San Diego Women’s Hall of Fame and invited to serve as a board member of the Women’s Museum of California. Hannah Cohen has had an interest in women’s issues dating back to her childhood when her father told her, “always know that girls can do anything a man can do and that women are just as smart as men if not smarter; always compete with the intent to win.” The message was fight for equality. Throughout the years, she brought up her three daughters with these words in mind and pursued equal rights for women throughout her career. Therefore, when she was invited to join the Women’s Museum of California, she jumped at the opportunity to continue to make a difference in the lives of women, young and old. AK: Are there particular stories that you found especially inspiring or surprising? 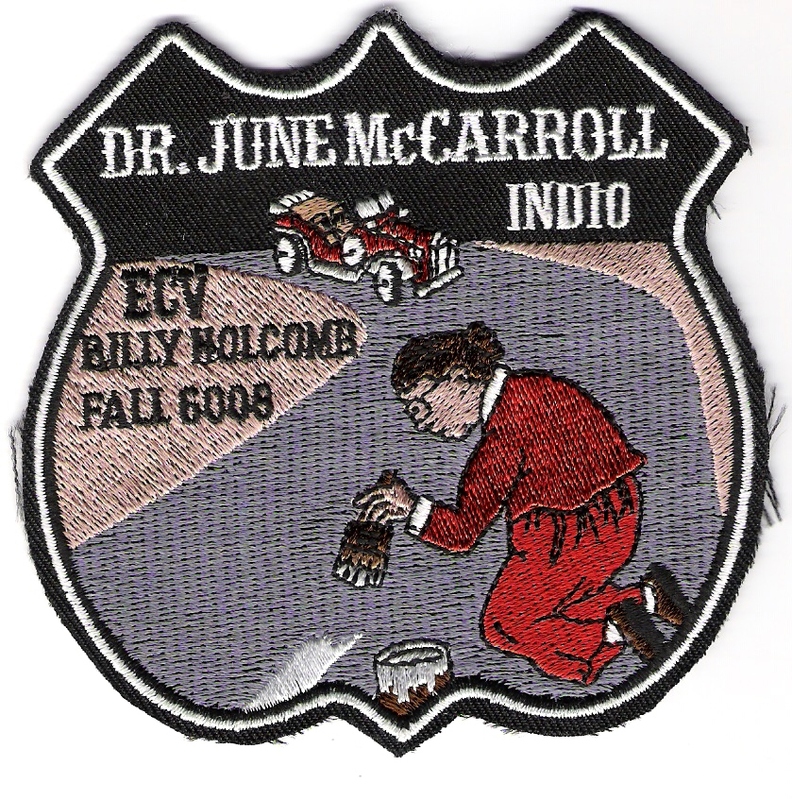 GH & HC: They were honestly all so inspiring, but one who stood out as surprising was Dr. June McCarroll, who was not only the first white doctor to minister to the tens of thousands of Indians in California, winning the hearts of the tribal medicine men, but she was also the inventor of the lines down the middle of our roads. She was so annoyed by being driven off the road in her horse and buggy by the new fangled Model T-Ford that as the story goes, she got down on her hands and knees and with baking flour drew a line almost a mile long down the middle of the road to make her point. This concept was then picked up by those paving the highways, and thus we have lines on all our highways! Women Trailblazers of California: Pioneers to the Present by Gloria Harris & Hannah Cohen is available from The History Press and bookstores throughout California. Great interview and now cannot wait for the book to come out ! Ever since the Hearst Castle tours I have been intrigued by Julia Morgan. Now I can finally read more about her. The community of women is so very important especially in these times when they are trying to challenge our rights. We’ve always known we were smarter and could do anything. I’m so glad you enjoyed the interview, Renee. Gloria and Hannah have put together a great collection, and The History Press is excited to see the book on the shelves this summer. In addition to Julia Morgan, I personally love the story of Dr. June McCarroll and the baking flour line. Thank you, Jeanette! The History Press is delighted to represent such a worthy collection on the history of California women, and Gloria and Hannah are certainly the authors to take up the cause! What an interesting and wonderful concept for a book. As the mother of two daughters, I am well aware of the challenges women of all ages face and a book about strong role models who have blazed the trail in our society will certainly be a dynamic and welcome addition to our family’s personal library. We are eagerly looking forward to the release. Thank you for your comments, Sheryl! I hope your daughters are inspired by the book! What a fantastic interview with Gloria Harris and Hannah Cohen! “Women Trailblazers of California: Pioneers to the Present” promises to be an incredibly important resource for all of us. And way-overdue! I was amazed at how even this interview evoked reactions in me and my experiences as I’ve traveled life’s path. So, I can’t wait to buy and read this book. My sincere thanks to Gloria and Hannah for taking time and making the effort to highlight the role of women in the history of California. Thank you, Christine! Gloria and Hannah have put together a wonderful collection, and we’re very excited to see the book hit the shelves this summer! Many thanks to Gloria Harris and Hannah Cohen for undertaking (trailblazing) this wonderful tribute to our California “sisters”. It is important to appreciate the foundation that has been set by the generations before us. This book will enrich us so that we can continue to tell the story and further the progress of women for our daughters and granddaughters and the generations to follow! Looking forward to reading these motivational histories cover to cover and watching with interest as women worldwide continue to trailblaze and clear new paths for success. Thank you, Andrea! The collection that Gloria and Hannah have put together serves as a reminder of how much has changed in a relatively short time. Women Trailblazers of California promises to be a tribute not only to California women, but to Californians in general.